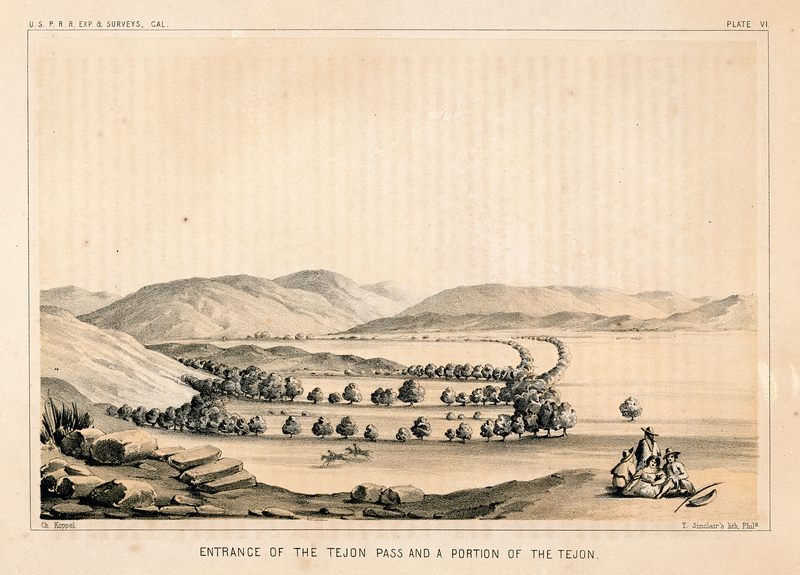 "Entrance of the Tejon Pass and a Portion of the Tejon." Original lithograph, 6x9 inches (full page 9x12 inches). From field sketch by Charles Koppel in 1853, lithograph by Thomas S. Sinclair of Philadelphia, printed by U.S. Government Printing Office, 1856. Plate VI from Part 1 of Vol. 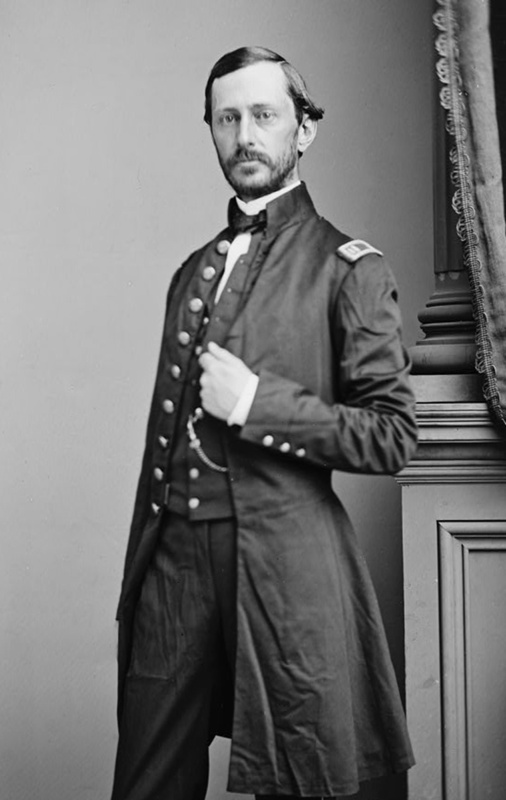 5 of "Reports of Explorations and Surveys, to ascertain the most practicable and economical route for a railroad from the Mississippi River to the Pacific Ocean, made under the direction of the Secretary of War, in 1853-4, According to Acts of Congress of March 3, 1853, May 31, 1854, and August 5, 1854." LW2882: 9600 dpi jpeg from original lithograph purchased by Leon Worden.